My Grandson, Naish likes to play pirates, and playing with my JRT, Ryder. 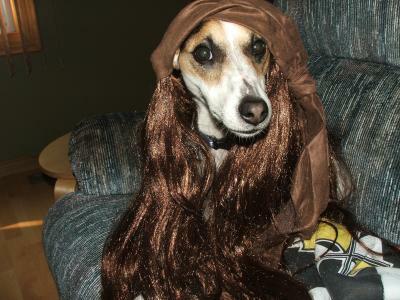 On this day I had purchased a new Captain Jack Sparrow wig for Naish. Ryder wanted to see what we had, so I couldn't resist trying it on my pooch. He looked so cute, I just had to take a picture!! Nice shot. Are you sure that is a dog and not a model. Certainly takes an excellent picture.